Updated Nov. 7, 2:45 p.m. | Posted Nov. 6, 7 p.m. 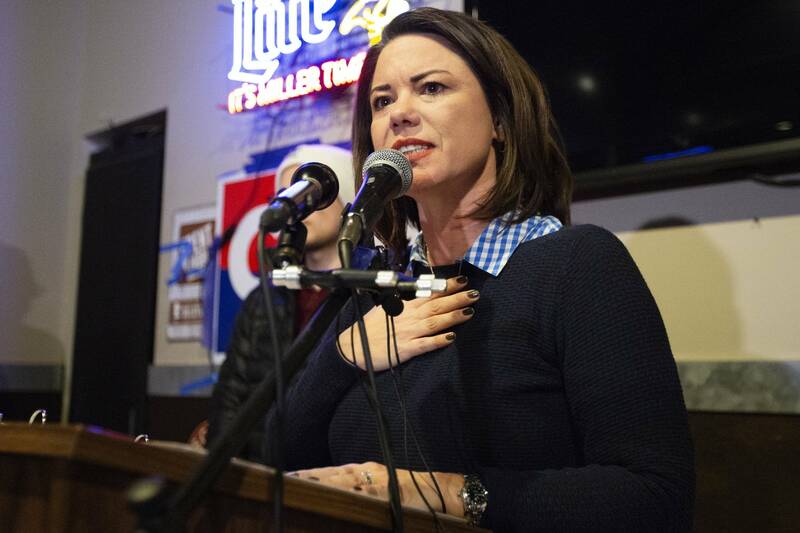 In races with national implications, Twin Cities Democrats Dean Phillips and Angie Craig on Tuesday defeated Republican incumbents, flipping key seats for Democrats as they regained control of the U.S. House of Representatives. But outside the metro area it was a different story. 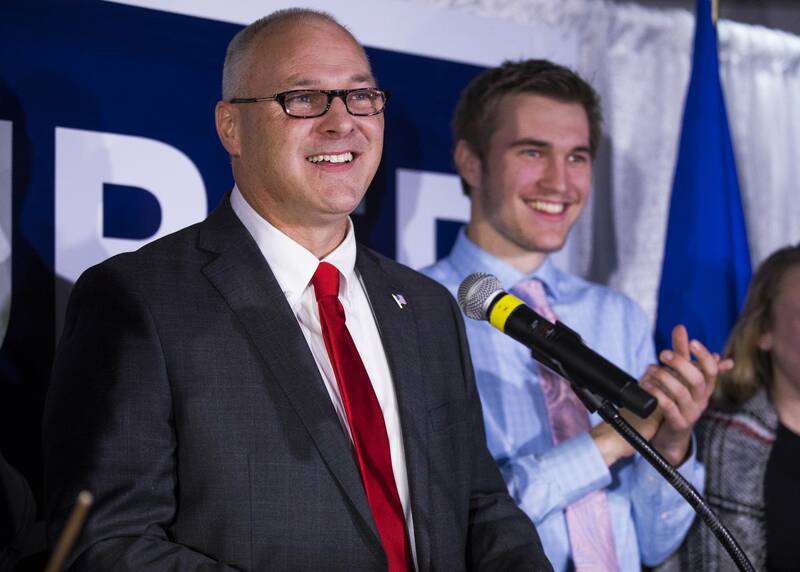 Republican Pete Stauber defeated Democrat Joe Radinovich in northern Minnesota's 8th District. And on Wednesday morning, with all precincts finally in, Republican Jim Hagedorn held a 1,311-vote lead over Democrat Dan Feehan with more than 291,000 votes cast in southern Minnesota's 1st District. While the wins and losses essentially amounted to a wash in the race to control the U.S. House, results from those four Minnesota races showed more evidence of an increasing political split between urban and suburban Twin Cities residents and greater Minnesota. 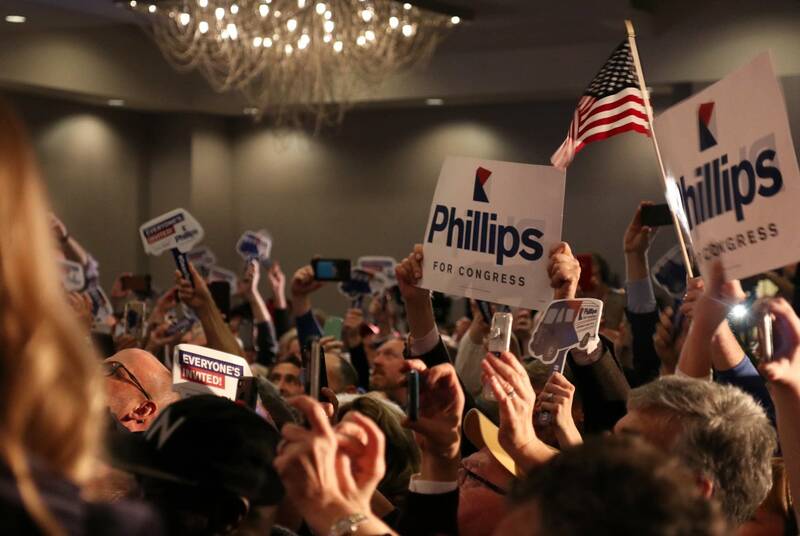 Phillips, a businessman whose family founded a local distillery, had consistently led GOP Rep. Erik Paulsen in polling across Minnesota's 3rd District, which covers the Twin Cities' western suburbs. Paulsen, who was seeking a sixth term, won re-election two years ago even though Democrat Hillary Clinton won his district by roughly 10 points. Democrats, though, hammered him this cycle by tying him to President Trump, who swooped in with a last-minute endorsement of Paulsen. "I know we came up a little short tonight. Tonight voters have chosen a new voice to lead them in Congress," Paulsen told supporters just after 9 p.m. Tuesday. 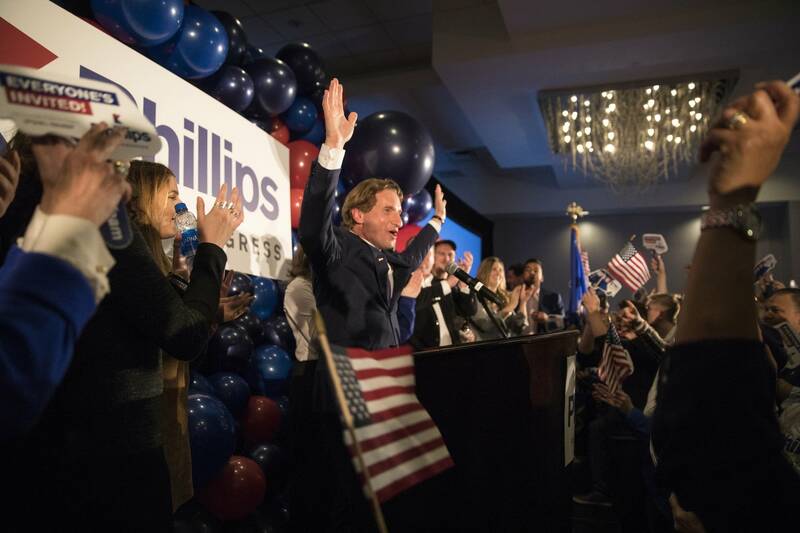 The Paulsen-Phillips race was among several Minnesota campaigns closely watched around the country. Democrats needed to pick up 23 Republican-held seats across the nation Tuesday to win back the majority in the U.S. House. Both parties saw opportunity in Minnesota. In the 2nd District, which covers the metro area south of the Twin Cities, Republican Rep. Jason Lewis narrowly won his first race two years ago against Craig, a businesswoman. She was back for a rematch this cycle in a race that's attracted millions of dollars in outside spending. Voters in the 2nd District supported Trump by less than 2 percentage points in 2016. With all precincts reporting Tuesday night, Craig had about 53 percent of the vote to about 47 percent for Lewis. "We got caught, I wouldn't say in a blue wave, but a green wave. They had more money," Lewis told the Republican election night gathering in Bloomington, in conceding the race late Tuesday. In the northeastern 8th District, Radinovich and Stauber were in a heated race. The seat is currently held by DFL Rep. Rick Nolan, who is retiring in January. With 82 percent of precincts reporting Tuesday night, Stauber had 50 percent of the vote, to 46 percent for Radinovich and 4 percent for Independence Party candidate Ray "Skip" Sandman. The Associated Press called the race for Stauber. Early into Wednesday morning, there was still plenty of drama in the 1st District. The seat came open after DFL Rep. Tim Walz said he would run instead for governor. Hagedorn, who came within 1 percentage point of defeating Walz two years ago, was making a fourth run at the seat (third time as the nominee) challenging Feehan, an Iraq War veteran and former official in the Obama administration. Hagedorn on Wednesday said it was "humbling" to win the seat on his third nomination, adding that his positions on border security, "work for welfare" and other issues resonated with southern Minnesota voters. As of Wednesday afternoon, Feehan had not conceded. "As this race is approximately 500 votes away from triggering a recount, the campaigns owe it to voters in the first congressional district to wait until official results are in," he said in a statement. Candidates and groups from both parties have spent upwards of $70 million to flood Minnesota's airwaves in just these four districts, including for the Phillips-Paulsen race. Minnesota also made a little bit more history Tuesday: state Rep. Ilhan Omar, DFL-Minneapolis, is headed to Washington, D.C.
Omar on Tuesday easily defeated GOP challenger Jennifer Zielinski to capture the seat held by U.S. House Rep. Keith Ellison, who is running for attorney general. Omar will be the first Somali-American elected to Congress. 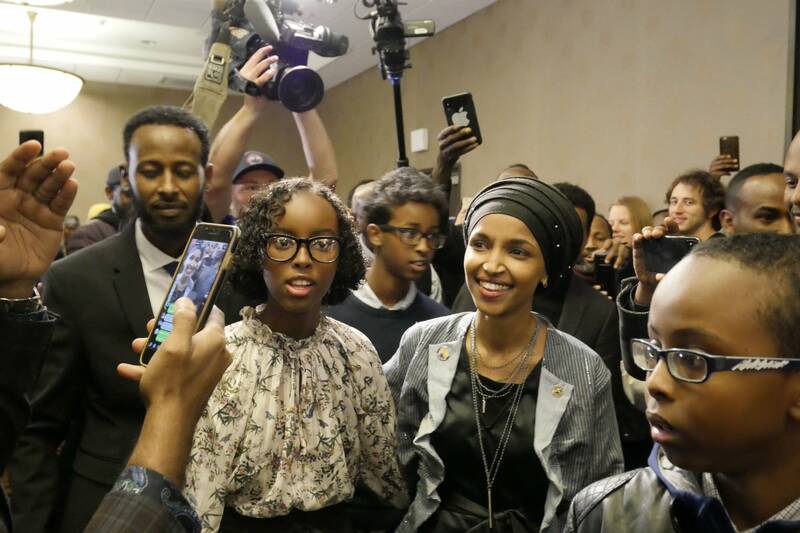 "Immigrants promised the land of opportunity are too often met with bigotry and hate," Omar told supporters following her victory. "I could not stand by on the sidelines and watch those promises go unkept." Also winning re-election Tuesday: 6th District GOP U.S. House Rep. Tom Emmer, 4th District DFL U.S. House Rep. Betty McCollum and 7th District DFL U.S. House Rep. Collin Peterson.